If you had your account on eAPRIN Prev. 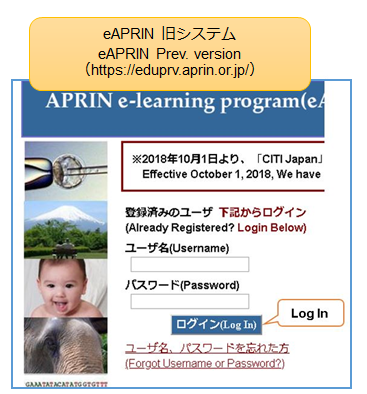 version（https://eduprv.aprin.or.jp/）and your institution had completed the data migration to APRIN e-learning program, you can log-in from here with your username and password. 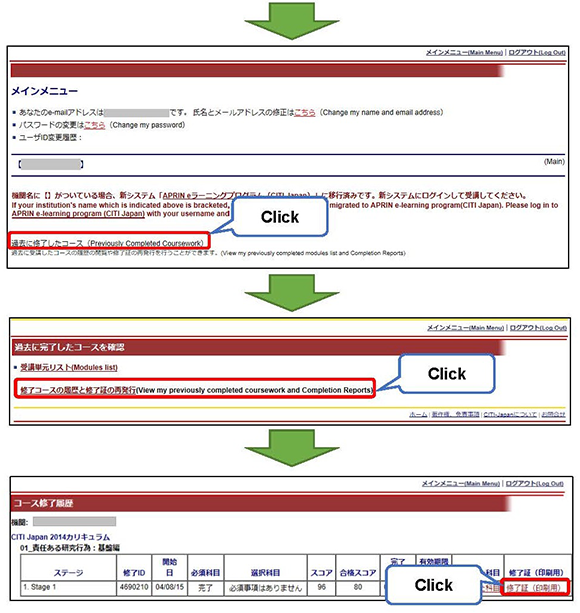 If you have received your username from JST, you can take the e-learning program by logging in from here. You can re-issue your course completion report on eAPRIN Prev. version by logging in from here.